New, clean, warm and homely, purpose built, right in the city centre - opposite the Town Hall - great views. Outdoor seating. Walk to the shops, supermarket, and nightlife! 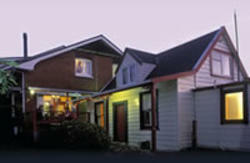 24-hour access, sunny & quiet bedrooms with linen included, cafe/bar, internet, pool tables. Baggage storage. Helpful, hospitable staff with information on all southern activities. Soak up the atmosphere! 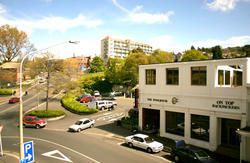 We are located on the corner of Moray Place and Filleul Street. This is about a minutes walk from the Octagon. 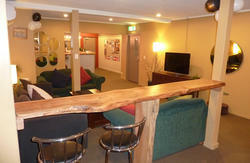 We are within walking distance to the i-site, Supermarkets and Dunedins popular Bars. Atomic, Bottom Bus, Catlins Coaster, Magic, and Stray Buses drop off at our door, as do most local tour buses. Walking: From the Octagon walk through Municiple Lane (which is next to the Dunedin City Council), we are across the road at the end of the lane. Driving: Turn off Moray Place onto Filleul Street, we are located next to a parking lot.